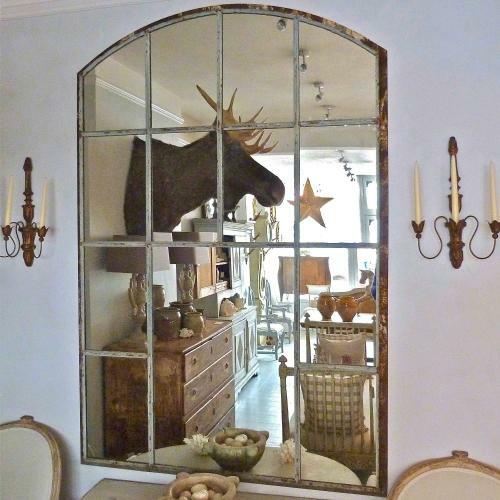 A stunning 19th century French architectural cast iron slow arched window frame mirror in original light grey paint. This beautiful piece has 13 individually glazed panels, with a rare and distinctive large central panel. With its wonderful time worn patina, this mirror will make a fantastic focal point and complement any location in the home or garden. Integral fixings around the border make for easy wall hanging. This item is ow on sale.